One of our most comprehensive projects to date, we have driven all Research & Development operations for this exciting new Social Platform. baagloo is a unique Social Platform that democratises the worlds of advertising & social media using mobile technology to share it’s wealth. It’s mission is to help solve the problem of global wealth inequality. It’s already on it’s way. Our role involves extensive research and development in helping define and deliver the required technology, agile project management and development of all assets at user interface and development of the active user community. baagloo secured seed funding from a China based institution at £2.75M start-up valuation, substantiating the global appeal of it’s proposition. It was nominated Best Consumer App by a panel of leading industry judges (including representatives from Unilever and Sky) at it’s AppWorld debut. 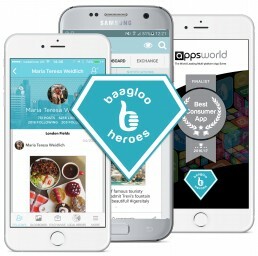 baagloo is now set to scale into the $40BN annual Social Media market, and will look to redistribute millions of dollars of advertising revenue to charities and good causes. It’s truly a world first and we are proud to be a part of it.